Lots of people like to book well ahead for Christmas or New Year. We are now accepting bookings for 2019 and 2020. 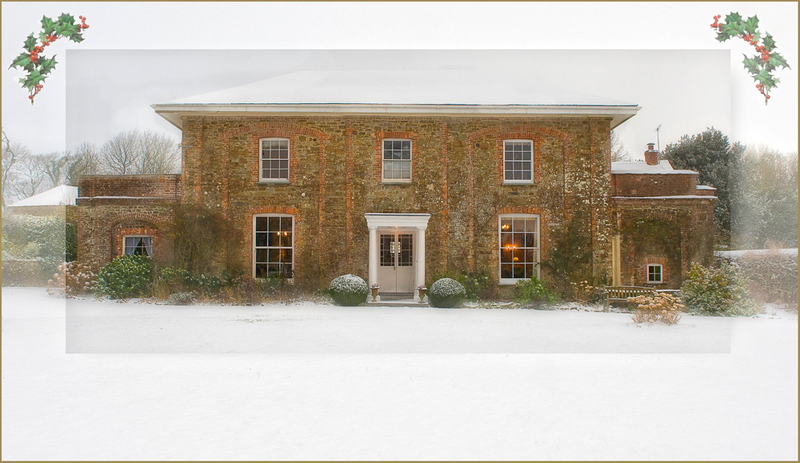 Celebrating Christmas or seeing in the New Year at Parnacott with friends and/or family is great fun! Log fires, Christmas trees, holly and ivy and much good cheer! Such a special time canot be properly enjoyed without one's dog. You will therefore be relieved to know we accept up to two dogs per week - £50 per dog. I don't want to mislead anyone so must confess we don't get snow every year! 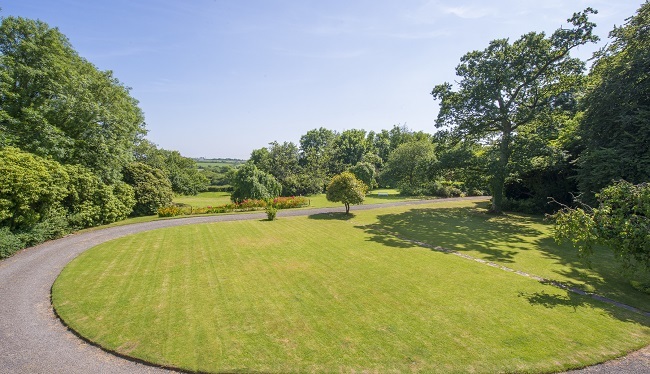 The gardens offer you plenty of space and light. Croquet, badminton, cricket, softball and football - fun until bedtime! 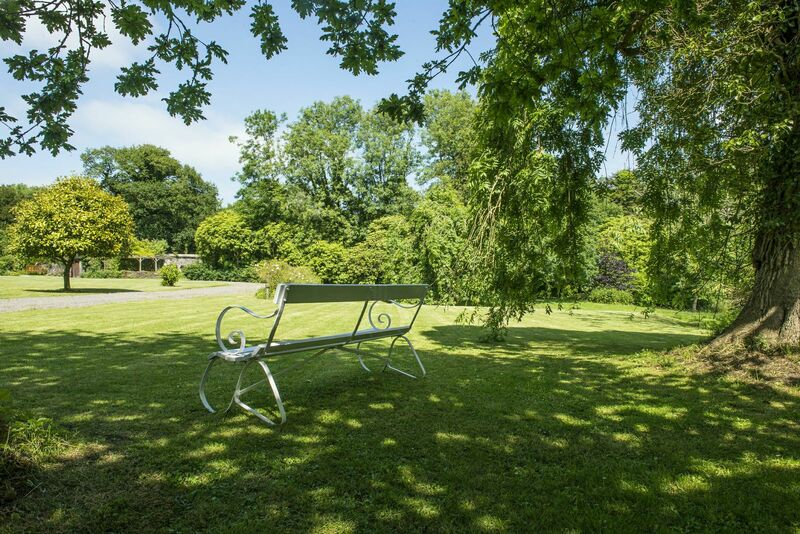 September and October weeks and weekends at Parnacott offer you all the joy of the late summer holidays without the crowds. This time of year is ideal for birthday celebrations and friends reuniting, and represents remarkably good value for money. Local beaches, perfect for good walks, especially with your dog, include: Widemouth, Summerleaze, Northcott Mouth, Sandymouth and Duckpool. Seabathers and surfers have the reassurance of Lifguards (RNLI) on all the main beaches from 10 until 6 or 7 - and usually during the October half-term. 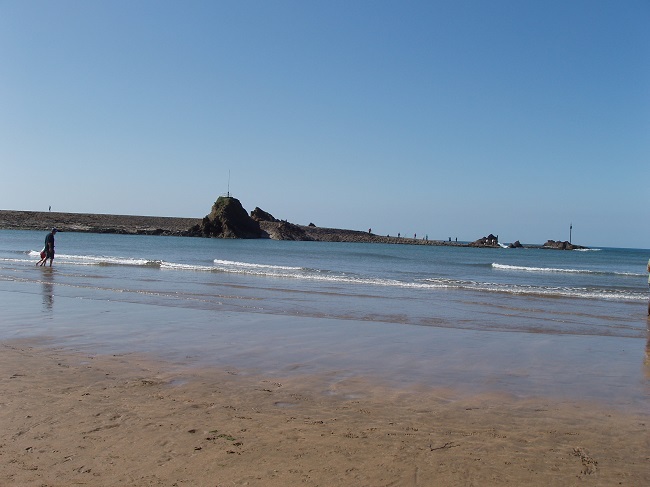 Or - head south from Bude down to Crackington Haven, Boscastle, Tintagel, Trebarwith Strand, Padstow and further to check out Rosamaund Pilcher settings (e.g. Prideaux Place in Padstow) and sample some of that Cornish Poldark magic. A deposit of one third secures the week, or weekend, of your choice - the balance becomes payble 6 weeks before arrival. Sleep will not be a problem after a day of sun, play and good eating. 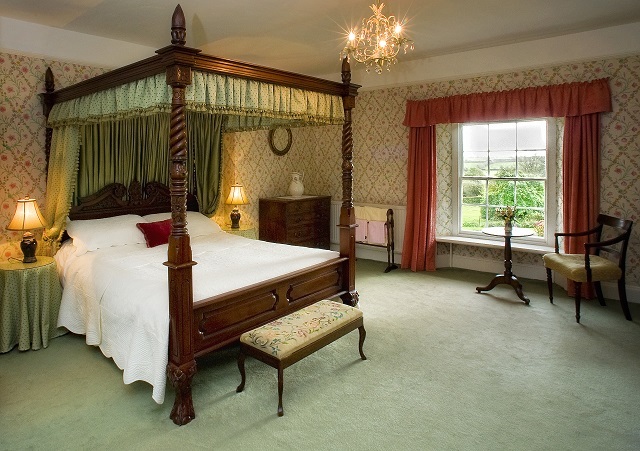 The Four Poster bedroom - imagine yourself here. Weeks following on from the October half term - already booked for 2017 - up to but not including Christmas and New Year are £1,362. Getting together with friends at this time of year gives you easy access to the cliffs or to the moors, to interesting points on the North Cornish coast like Boscastle, Port Isaac, Padstow or St Juliot** - but without 'the madding crowd' - and then log fires, good food and stimulating conversation back at Parnacott. A group of 10 friends would only pay just under £20 per person per night! (The only additional cost would be if you would like to have extra baskets of seasoned logs.) This makes a week at Parnacott out of season not just very desirable but also extremely good value for money. For the December weekends, Rondi dresses the house for Christmas - perfect for an early Christmas celebration! ** Thomas Hardy met his first wife there. *For groups that would like to be catered for we have 3 local chefs we can highly recommend. They can provide 'drop-off' meals - ideal for the night of arrival - or come in and cook for you, serve and clear away afterwards. (You deal diretly with the chef of your choice - we take no commission.) This is a very popular option and rightly so.